An economical and compact power source ideal for operating small volume hydraulic systems. Available in 20:1 or 60:1 Boost Ratios. Part No. 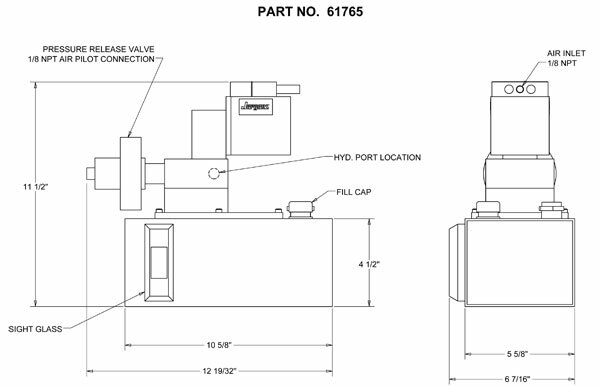 's 61763 & 61765 are specifically designed for operating single acting hydraulic systems. These models feature an air piloted pressure release valve. This allows a single acting hydraulic systems to be controlled remotely with a simple 4-way air valve. All models include an air set-up kit (Filter-Regulator, Hose, Fittings). Part No. 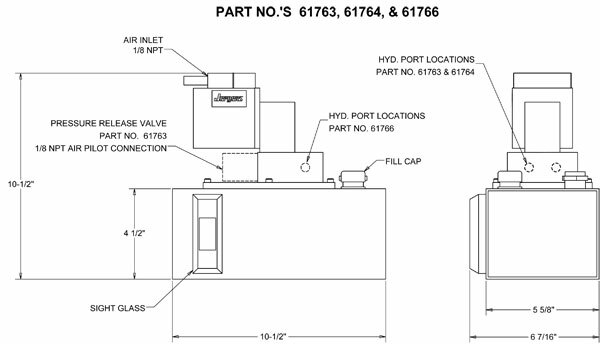 's 61763 & 63765 also include a 4-way air valve.